The perfect tube notching machine for the economical garage fabricator that needs to assemble and weld tubing at varying angles for applications such as mud racers, rock crawlers, midget cars, go karts and much more. 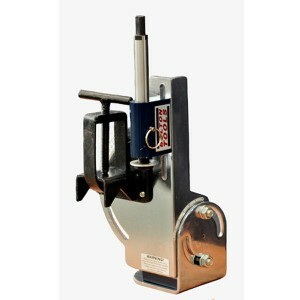 The Notcher can be vertically mounted in a drill press, or for larger pieces it can be horizontally mounted on a weld bench or in a vise and powered by a portable drill. 7. Shipping Dimensions: 12" x 7" x 5".